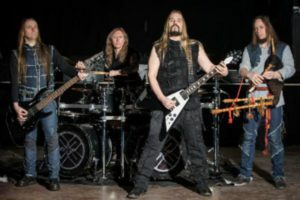 Interview: Markus – Guitar, vocals; Lauri – Guitar, Estonian bagpipes, Zither, Flute, etc. ; KuriRaivo – Bass; Tõnis Noevere – Drums. Thanks for the opportunity to interview you and congratulations with your new album release. How do you feel the album measures up against your previous releases? Markus: We are really happy with our new album. I think its our best album so far. It has that songwriting style like we had on “Hiiekoda” album and an emotion like on “Äio” album. All the songs are different and no fillers are in the songlist. It seems like you were able to generate a lot of energy and great ideas because of it… the break? Is it true? Markus: After “Karjajuht“ album we toured a lot. Like over 100 concerts a year. But when you are writing an album then you need that certain time. To let everything else go and focus only on the music and lyrics. And we make a new album only then when we feel we want to do it not because we HAVE to do it. Lauri: In fact, there has never been a break. At least we do feel like it hasn’t been – it’s the same effect as visiting some distant relatives who have small children, if you don’t see them a couple of years, and then at one point you meet them and – they have grown up in the meantime. What I want to say is that METSATÖLL’s days have been full of activities, touring, making demo recordings, from our point of view. In the meantime, a collection of songs was released with two new songs. And then of course we threw our intermediate drummer, Marko, out of the band and after a short search we found a very good and creative new percussion player – Tõnis Noevere, with whom we have been together for over a year now. In fact, the feeling that we already know Tõnis all of our life, hes really a very cool pal, also can play many different instruments – on studio demo sessions we found him on one morning with a guitar behind the studiodesk, jamming riffs for a new song. How different was it recording this album as compared to your last album “Karjajuht”? What are the inspirations in your life and is METSATÖLL an alternative way of expression for you? Markus: To tell you the truth i don”t remember much of the “Karjajuht” recording. So much time have passed and the new album is in my mind so i think that the “Karjajuht” came with not much effort because the songs are very short and the album is pretty angry. It sounds more like leftovers from “Äio” and “Ulg” albums with lower tuning. New album´s inspiration came with rehearsing together. Lauri: I think, personally for me, a lot of inspiration is in the everyday’s life – the books I’m reading, poetry, my close-ones. Music is my everydays life and METSATÖLL is a part of my music. And playing music always differs a little, what concerts recording and making a band, here plays a very important role in the band, with whom you are actually doing it – sharing your music and thoughts. When all of your bandmates are good people, you can deal with anything. 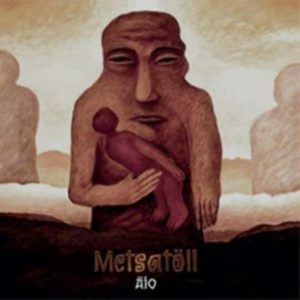 Do you follow career of former METSATÖLL drummer Marko Atso? Do you guys still keep in touch with each other? You’ve been a band for a long time. What kind of strain is that on the friendships within the band? Markus: No we don´t know anything about him. The members right now are the best thing ever happened to METSATÖLL. We are honest, we like what we do, we ´re the wolfpack. Lauri: Yes, we have given several hundred concerts to Marko and shared everything from stage to music. But to be honest, we saw signs that we probably can’t play with Marko a long, at the very beginning when we took him into our band. Well, now this moment, but already a year ago now, dawned – better late than never. I personally hope that neither we nor any musician or a businessman will ever need to communicate with him again, nor do I follow Marko’s actions. But I am very familiar with the activities of our other previous members – our first drummer Silver Rattasepp – Factor has translated the lyrics of METSATÖLL through the years, he is a semiotic and translator, olso our latest CD-s translations are his work. Our first bass guitarist Andrus has performed several times with current METSATÖLL, we have just celebrated 20 jubilee with METSATÖLL together with Factor and Andrus. The METSATÖLL comerades have always kept together. 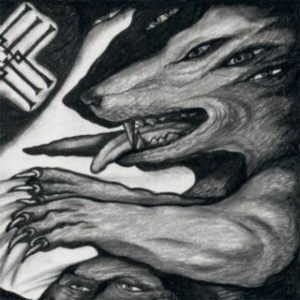 How does creativity come for you – does it come at random or are there any fixed positions in which you utilize to draw out your own creative beast? Markus: It does come randomly. The best riffs usually come from the soundchecks. Jamming at the rehearsals and sometimes on the road. Lauri: To cut the grain, you must first plow. You can’t just walk with a scythe in the woods and wait for somewhere behind the magic birch is hiding a barley. Music has to be played every day to create a good song, the lyrics has to be written every day to have the good verses – there is no point in waiting for a muse with a golden harp on a pink cloud – you yourself are a muse. What would you say separates you from the other acts in the same genre? 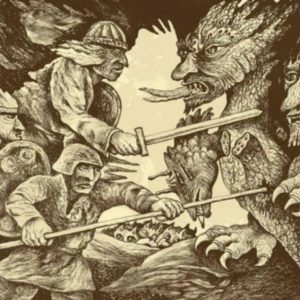 What makes METSATÖLL unique? 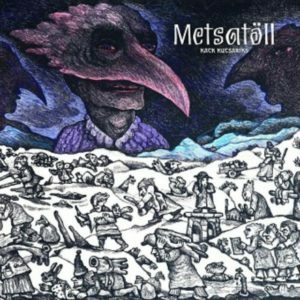 It seems to me that every listener takes METSATÖLL as their own personal band, I am only pleased about it. Let’s go on with the unique music! Just remembered, at the Cernunnos Pagan Fest last year there were Saor Patrol from Scotland – METSATÖLL don’t have beards like that. And there was Boisson Divine from France – we dont have voices like that. So, all unique as we were, we sung there all evening long with good pals from Scotland, Estonia and Gascony and felt so damn un unique to just sing and have fun and drunk for the good days to come and for those, that have already passed. Music is universal in its uniqueness. Fans hoping that with the release of new album there would finally also be a new video. Is there a reason why that has not happened yet? Markus: Good old reason… money. When you record and produce everything yourself the expenses are huge but yes we will try to make a video. Lauri: Yes, we are now announcing an official gold mining competitions – the winner can do work for lazy and poor people of METSATÖLL and will be awarded with a plenty of laurels, honey and mead. But now more seriously – we are working to make this potting steamer work again. Lauri: Thank you for the very good words. Perhaps it is that the drawer is filled with thickness of the song pages, all of which already sounded like one other METSATÖLL song, but somehow those pages did not reach the album disk for one reason or another. The album is such a great thing that musicians have no obligation to put all their songs there, so these other songs are for other communities or other stages. Or wait for the days when maybe there will be a fashion to make a repetition of yourself! You have long been associated with Spinefarm Records, but with METSATÖLL you’ve decided to release the material yourself. Why the change? Would you ever consider going mainstream just for the purpose of targeting a bigger audience? Would you sign with a big record company if this (going mainstream) was one of the contract terms? Markus: No big mystery. Deal just ended and thats it. 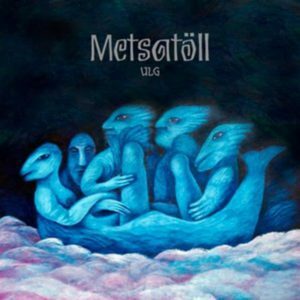 We hoped that maybe Universal Baltics wants to release our last album but they already other plans so we decided that METSATÖLL is 20 years old and lets do it ourselves. Please, can you tell me about now days position of METSATÖLL in Estonia and other countries? Do you think that anyone could make a successful career if he gets huge promotion even if he had nothing new and decent to offer (musically)? Do you think that “good music” is the only thing that an artist needs in order to succeed? Markus: I think the position in Estonia has always been the same. We are somewhere between underground and pop and the reason is simple. There is no other band in Estonia like us. For the other countries we have always been underground. “Good music” is not enough. A band also needs a lot of luck. But yes promotion must be running all the time. Lauri: I really believe that METSATÖLL always has something new and exciting to offer musically. Do we make a successful career, I cannot comment. As can be seen on a daily basis, a music business and music itself are two completely different things. If it is actually possible to sell, for a good salesman, for example, even a completely useless bomb-detector, there should be no obstacle to sell off a much safer musical project. I personally think, that everyone, who have ever wrote or made a song, a poem, a melody, He or she is already succeeded. There is no need to sell to succeed. But if You want to be a pop-star, there is probably not needed to write a song – just be a pop-star, today everything is possible with an enough of willpower. As far as newer generation metal what bands inspire you in the last decade? For example: How’s the metal scene in the Estonia right now? Do you think it was harder to get on to the music scene because of where you were from? 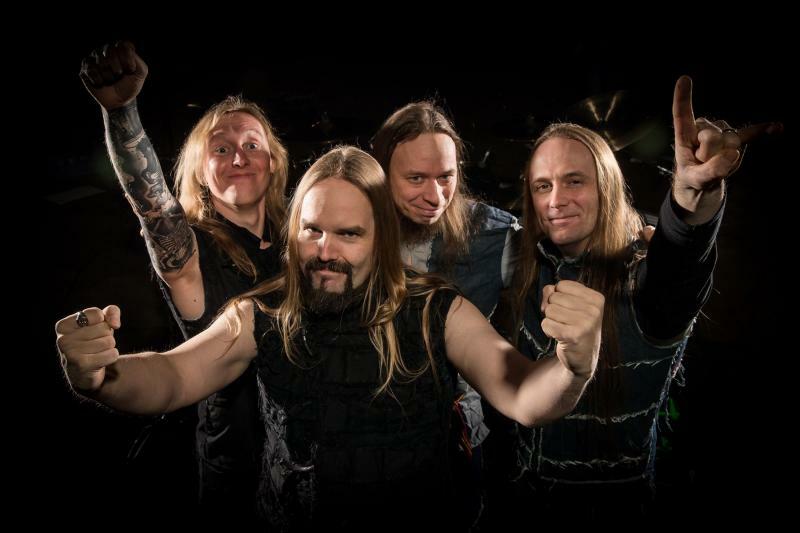 Tõnis: In Estonia we have small metal scene but pretty much with “stick together” attitude. Comparing to our neighbours Finland I can’t say that we have a lot of bands here but for small Estonia around 70-100 bands are very fine i guess. I think local metalheads could never be happier than today because how many metal events happening in Estonia nowadays. In Tallinn have some metal events every week. Sometimes even 4-5 show per weekend. I‘ m listening very different kind of music. When I was a teenager my most influence was thrash metal music. Like TESTAMENT, ANTHRAX, SLAYER, PANTERA, EXODUS, METALLICA and so on… Also Id liked to listen progressive metal like DREAM THEATER and THRESHOLD. Right now im listening music from BLACK SABBATH to BEHEMOTH. About last decade good found for me was SKÁLMÖLD, EREB ALTOR, GHOS, KVELERTAK and HAVOK. Do you have any new tours planned? What is your favorite place to tour? Markus: We have no tours planned yet. We like to tour everywhere. Tõnis: We have got some offers but it’s too early to talk about it. I think everywhere is fun to tour. Lauri: METSATÖLL‘s favorite place to tour is at Your village tomorrow, so, don‘t forget to invite us! Kuriraivo: Česká republika je zemí lahodných piv a krásných žen. Doufejme, že toto pěkné místo budeme moci brzy navštívit.